Satisfying your customers is the #1 goal. But live chat is more than just a customer support tool. One-on-one communication with customers opens the doors to learning more about consumer behavior. Live engagement can uncover product mishaps and branding opportunities. On average, 67% of shoppers abandon their online shopping carts. And most leave due to checkout process confusion, lack of product information, or unanswered questions about payment options and shipping costs. Live chat changes this paradigm by offering immediate assistance to “save” lost sales. Marketing professional Lior Levin agrees that chat agents make an impact when they walk shoppers through the sales process. Moreover, savvy live chat reps can answer the customer’s initial inquiry and spot opportunities to help the individual with product offerings. Shoppers are more likely to buy when informed. In the example below, agent Adam responds to Jaye’s product question. Then, Adam offers to help the customer select a specific plan. So, upselling is another option to boost sales. A small incentive, like a coupon, can clinch the sale, and customers will feel relieved that they didn’t have to search for discount codes on other sites. For instance, if a live chat rep identifies a need that is included in a higher-priced plan, the agent could offer a customer the upsell with a free gift or a coupon. Be attentive: You can’t make the sale if you’re not aware. Be quick: Answer the customer’s first message in less than 30 seconds. Be human: Ditch the script. Spotting real concerns means observing, not reading. Be proactive: Anticipate the shopper’s future needs. Frustrated that new customers aren’t buying? Well, experts report that “it costs businesses nearly 7 times more to acquire a new customer than to retain an existing one.” Therefore, it’s cheaper for your bottom line to focus on retention. It all starts with customer engagement and fostering trust. By learning about your consumers, your team will gain a deeper understanding and appreciation for their pain points. That knowledge is best used to enhance the customer experience. Use live chat as a support system for current customers. When customers have issues with your product or want to file a complaint, give them the option (and respect) to chat freely with a live person. Live chat platforms are especially effective for SaaS companies with technical products that may require additional instruction. Also, be mindful of how you address and approach your existing customers. Zappos refers to their agents as “customer loyalty representatives.” This slight word change transforms out-of-touch shoppers into valued customers. Businesses can isolate and resolve issues more quickly. The normal wait time for an email response ranges from 72 to 96 hours. That’s a lot of wasted time. And the problem may get worse! Real-time reps address concerns immediately or can escalate them up the chain faster. Plus, unlike email, the customer isn’t worried if anyone has read their complaint. Live chat is direct. Reduce the time it takes to solve problems. Immediacy leads to customer retention. Marketing is all about promoting your brand and informing your target audience about your products and service. When shoppers want a particular item, you want your brand to pop in their heads first. By tweaking the live chat platform, you can improve your overall branding strategy. 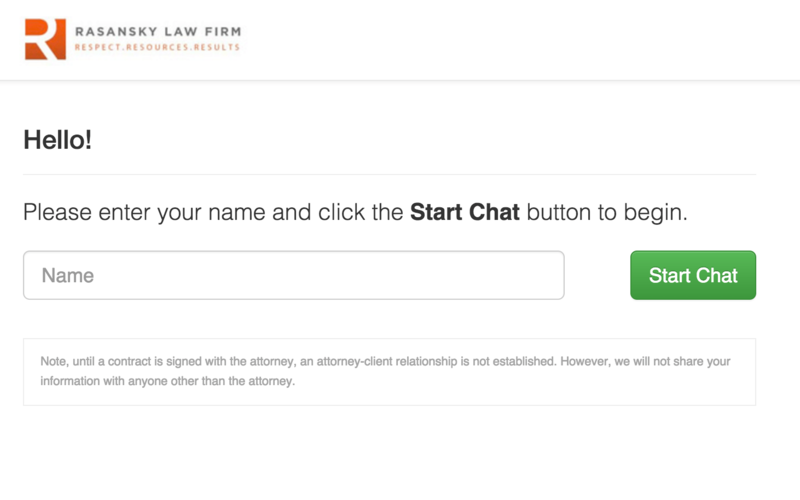 The Rasansky Law Firm adds their logo to their live chat sessions. An automated machine can’t exude trust. Your team should strive to boost buyer confidence. To achieve that, be ready to build a full-fledged knowledge base. During chat sessions, update customers about your company offerings. Ask customers if they would like to sign up for your mailing list. But make sure you’re giving relevant content, like a upcoming deals and promotions. Create brand value. For B2B companies, direct potential customers to case studies or a testimonial page. This will establish your credibility and display a positive image. Create a welcome message that includes your brand voice. Build brand loyalty by providing customers with exclusive content. Offer customers the option to engage with a personal shopper. And after chats are finished, email the transcripts to your customers. Your marketing team also can review the chat for quality control purposes. Just make sure to add those details to your website’s terms and conditions. Social sharing continues to be a leading source of site traffic. 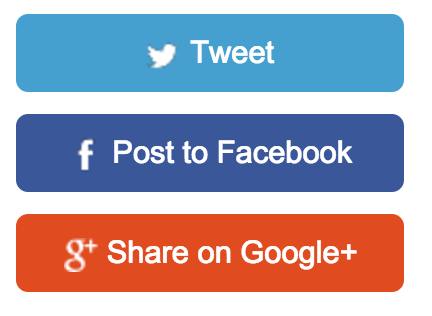 Integrate social share buttons into the emails that include the transcript. If you’re offering superb service, customers will want to spread the word. And when someone talks about your brand, it will get noticed by potential customers. Strong customer relationships keep companies around for the long haul. Live chat sessions establish a bond between the brand and the consumer. Training live chat agents is necessary to achieve your desired results. Show your chat team how to make a good first impression. Portray the right attitude and tone. Since people can’t hear or see you, your words must convey meaning. After the live chat is finished, find different ways to continue the relationship.For example, persuade customers to complete a short survey. Use the questionnaire as a rubric to grade customer support and satisfaction. Send a follow-up email. Ask customers if they have any additional questions. 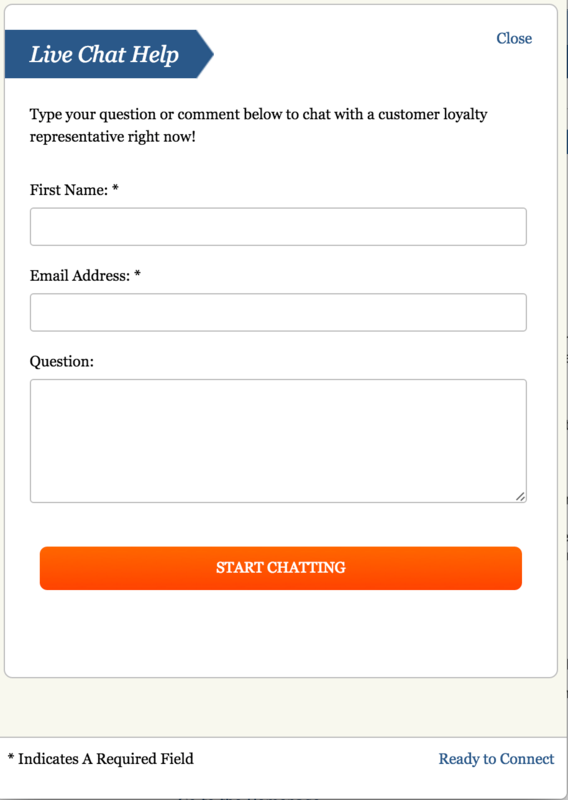 You can direct them to your FAQ page or encourage them to jump on another live chat. Whatever you do, keep your word. For instance, if you promise a customer that you will issue a refund, do it in a timely fashion. Don’t have the customer contact you again for the same problem. If your team makes a mistake, apologize quickly. Train your reps to show sincerity. Customers will accept your errors if your team is honest and upfront. Forbes contributor Margie Warrell suggests encouraging employees to get comfortable with discomfort. Help people build competence. Live chat will never replace an in-person customer experience. However, it can be enhanced to become more effective for businesses. 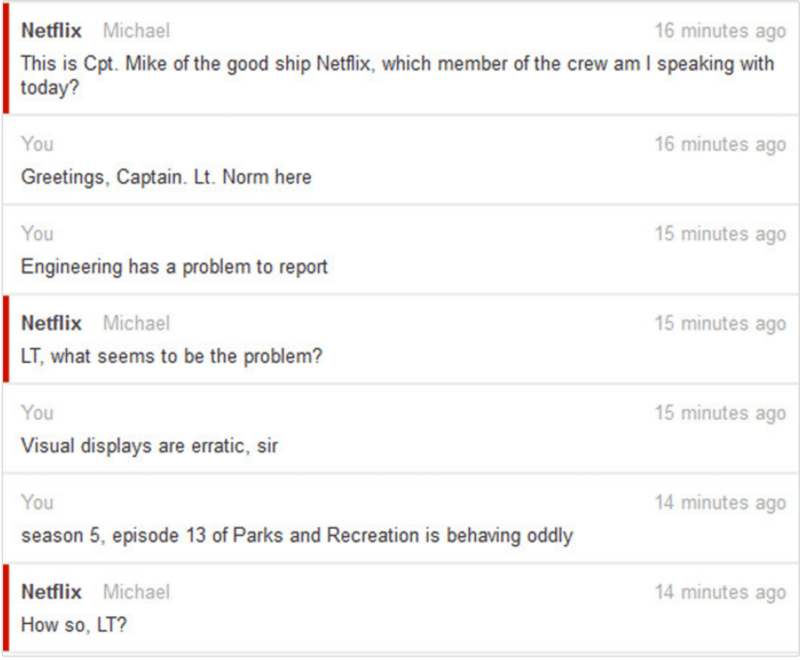 Translation: Live chat can reveal data about hidden product, service, and website issues. 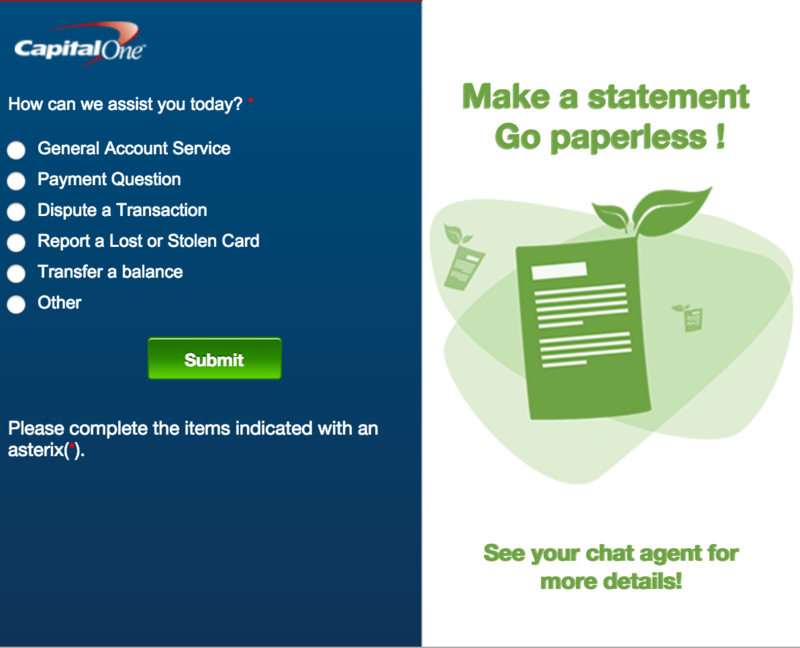 Capital One requires live chat users to indicate their issue before talking with a rep. Not only does this direct the customer to the right agent, but it also records the most frequent problems facing customers. So, if thousands of customers are reporting transaction disputes, the bank may need to investigate a security breach. The key is to be open to soliciting suggestions from customers. Teams sometimes suffer from project fatigue, resulting in tunnel vision. Customer conversations will offer fresh insight about product features. But more importantly, don’t force customers to give feedback about everything they like or dislike about your product. Remember the purpose of the chat. It’s always aimed at helping the customer, not your business’s research. Let’s face it. The marketplace is overcrowded. And all the noise overwhelms customers and leaves them struggling to find the right products and services. In 2011, 58% of American consumers interacted with an e-retailer using live chat. There’s still a huge chunk of companies not utilizing live chat. More than ever, your business has the chance to dominate. Stand out by building live chat within your competitive advantage. Focus on the needs of your customers. Are you delivering value throughout every stage of the buyer’s journey? Figure out how each major touchpoint in the funnel can be uplifted with live chat. If you’re seeking to outdo your competitor, personalization is the way to go. People enjoy socializing with people who relate to them. To personalize experiences online, interaction is important. Humanize the session by adding the names and photos of the chat agents. Are there repetitive hurdles to get questions answered? Are questions responded to in a timely manner? Find your competitive advantage by removing obstacles from the customer’s purchasing experience. A complicated process frustrates everyone involved. Do you cater to a French-speaking customer base? If so, ensure multilingual agents are always available. Gain an edge. Guide consumers in the right direction to avoid future problems. Live chat is not just for answering customer inquiries. Prepare your team to move beyond support challenges. Increase sales by upselling in live sessions. 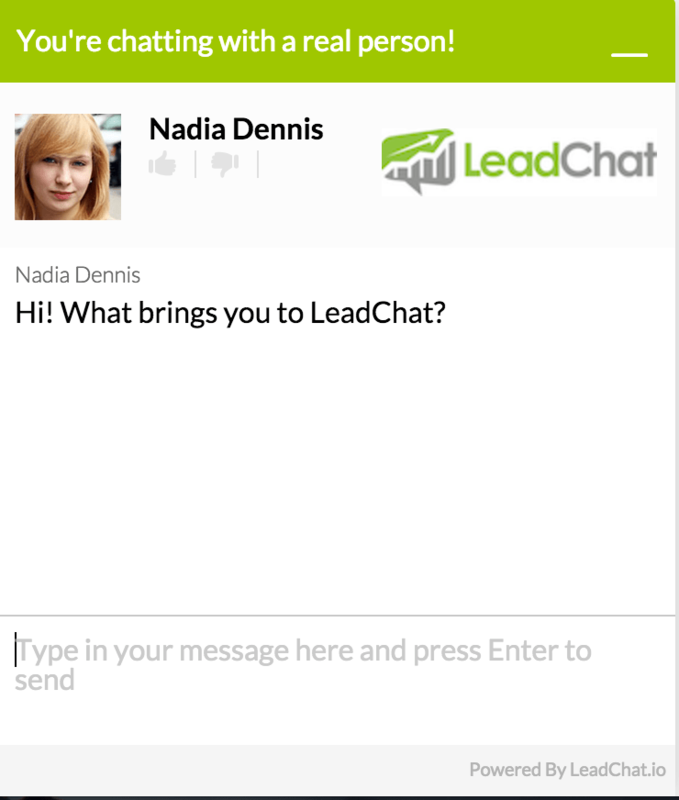 Build relationships through cordial chat interactions. Solicit feedback to improve your product research. Be innovative. Live chat is your secret weapon.